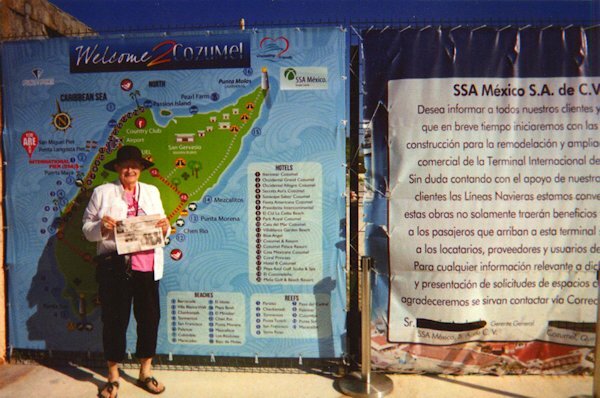 On February 14, 2014 Emogine Howe and her sister, Elaine Grundy went on a 4 day cruise to Cozumel, Mexico. Emogine took "The Quill" Along. When you go on a trip, take "The Quill" along and have your picture taken with it and then send it to us. Let's see where all "The Quill" can travel.